Southern Oregon University named its University Library "Hannon Library" in recognition of the unusually meritorious contributions to Oregon made by Senator Lenn and Dixie Hannon. SOU requested that an exception be made to the Oregon Administrative Rule precluding the naming of facilities for persons who are living. The Oregon University System board unanimously approved this request at the February 20, 2004 board meeting. During his nearly thirty-year tenure as Oregon State Senator, Lenn Hannon, with the able assistance of his wife Dixie Hannon, made profound contributions to the betterment of Oregon—its public services, its economy, educational opportunity, and the lives of scores of its citizens. Senator Hannon was widely recognized for his strong support of public schooling and post secondary education via community colleges and public universities. Hannon’s support of southern Oregon and the University has been instrumental in the development and advancement of the region and state. Hannon realized the changing mission and capability of Southern Oregon State College and led the legislative action to rename the college Southern Oregon University in 1997. Hannon also rallied support for public financing to build and equip SOU facilities including the Computer Science Building, Old Mill Village, the McNeal Hall additions, the Center for the Visual Arts, and the addition and renovation of the University Library. The library and learning center improvement cost $23.5 million. Senator Hannon led the process to secure $20 million in state bonding. He was assisted by many colleagues, in particular the local delegation including Senator Jason Atkinson, Representative Alan Bates, Representative Rob Patridge, and former Representative Cherryl Walker. 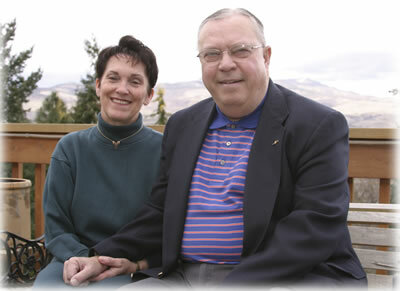 The University and its SOU Foundation raised $3.5 million in private support. Hannon Library was completed in May 2005. It dramatically increased the academic and public resources of the only research library between Eugene and Chico. Almost doubling the size of the existing library, the addition added much needed space to store and expand publications. In addition, the technological advancements created long-term value for the community. By utilizing wired and wireless technology, spaces facilitate interactive teaching and learning on site and via distance delivery. Advancements include two wired classrooms, a media center, an expanded Information Technology Center, and study rooms with computer connections. The project stimulated the local economy and provided jobs. Seventy percent of the construction dollars were spent locally, with thirty percent coming from suppliers in other areas, mostly Oregon. Nearly all of the workers were residents of the Rogue Valley. Lenn died on April 1, 2010. His obituary was published in Statesman Journal on April 9, 2010.